The Baltic Sea Action Plan Scorecard 2018 assesses the progress by HELCOM contracting countries towards their Baltic Sea Action Plan (BSAP) commitments. Ten years after the original Baltic Sea Action Plan was signed, the recovery of the Baltic Sea remains slow - and is in some respects worsening. 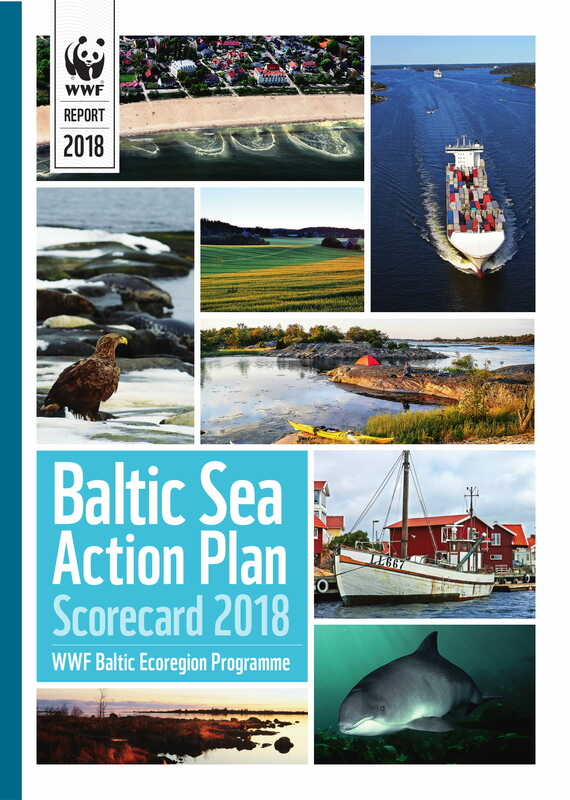 “The Baltic Sea Action Plan Scorecard 2018”, a report by WWF, reveals that the Baltic Sea coastal countries are failing to deliver on their commitments for a healthy Baltic Sea by 2021 and show little indication that this will change. The Baltic Sea Action Plan Scorecard 2018 assesses the progress by HELCOM contracting countries towards their Baltic Sea Action Plan (BSAP) commitments. The results are bleak showing insufficient progress across all four themes addressed by the Action Plan – eutrophication, hazardous substances, biodiversity and maritime activities. Of the 58 most significant and on-going actions assessed, under one third have been accomplished (16 out of 58 actions). With only three years to go to the BSAP goal line of 2021, the Baltic Sea region countries face a massive challenge. The responsibility for restoring the Baltic Sea to good environmental health and improving its performance as an economic resource belongs to everyone. Despite country-by-country remedial measures, there remains a strong need for regional-scale action and Baltic-specific approaches, in particular for transnational sectors and issues such as shipping, oil spill response, management of shared fish stocks and eutrophication.